With only 175 wooden coasters operating and with only 10 currently in construction, is the wooden rollercoaster breed dieing out, for most theme parks the choice between a wooden rollercoaster and a steel rollercoaster is fairly simple, as a steel rollercoaster could theoretically last a lot longer than a wooden rollercoaster. Since 2000 the Wooden coaster count has been plummeting dramatically, as it is more viable for parks to construct a steel coaster. As enthusiast we know that steel rollercoasters and wooden rollercoasters are equally safe, but the general public wouldn't normally agree, this is one of the huge reasons, why one of europes leading theme park operators Merlin hasn't invested in a wooden coaster, because of the fears that the general public would view them as not safe as a steel coaster. 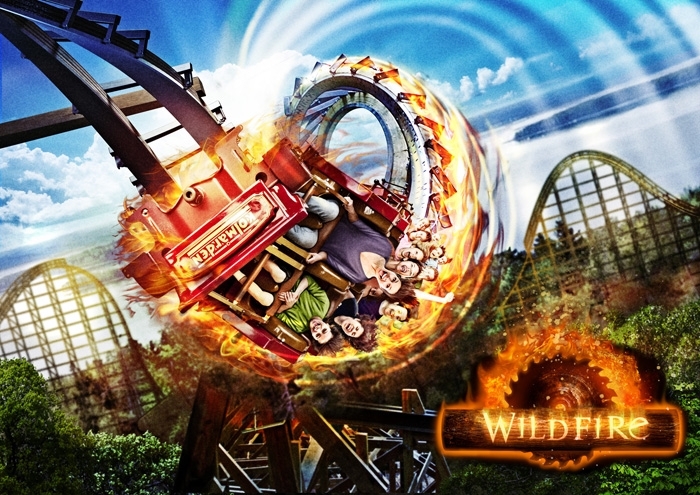 Marketing, a wooden rollercoaster, would be possibly harder to draw the attention of a market, their can be exceptions to this rule like with Outlaw Run (Silver Dollar City), and one of my highly annticpated coasters for 2016, Wildfire (Kolmården) but these are fairly few and far between. Do you think in today's Theme Park climate that the Wooden Rollercoasters can survive or do you think they will soon become extinct? Would a future of Steel/Wood hybrid coasters like Iron Rattler be the last chance of saving the wooden coaster breed? Re: Are Wooden Rollercoasters Dieing? I'm not sure. The point about people not viewing them as safe is valid but that isn't why they are dieing out. IMO, the main reason they are dieing is that they don't have much flexibility in their designs. They can have a simple out and back layout (Big dipper, Blackpool), a twisty layout (Dualing Dragons, Happy valley wuhan) or even a mix of both (Megafobia, Oakwood) all in a normal sitting position. Steel coasters can easily do all of this plus others including inversions and more forceful sections in different seating positions (e.g. inverted, flying or stand-up). Due to the lack of flexibility and higher operating costs of wooden coasters, many parks just find it a lot easier to go for a steel coaster which would also be more appealing to the public. Even Britain's newest wooden coaster Megafobia, wouldn't exist had it not been under offer from the manufacturers. It is an interesting thought that you both raise, I personally hope wooden rollercoasters don't die out, and I think it would be highly unlikely for them to completely go, as they are a part of rollercoaster heritage, 175 with 10 in construction is still fairly good, I will begin to worry when there are only around 50 left, but it could go that way in the next 10 or 15 years. I don't consider the wooden coaster dying but evolving into a more prominent design choice to the steel coaster and it is somewhat proven that there are more Hybrids going in and less woodies are (yes I consider a hybrid a wooden because the supports are wood and most of the coaster is wood) being built. but of you think about it the wooden coaster has lasted for hundreds of years and is still around and its a cheaper choice for a park to put in over a steel coaster. if you also consider the idea of a wooden coaster feeling more out of control it is a more interesting more "daring" choice to go onto because of the bumpy nostalgic feel that you can't in a steel coaster. Some good points there CP2013. Although I agree with you on that woodens are evolving out of the traditional wooden, whether hybrids are wooden or not is a completely seperate discussion. 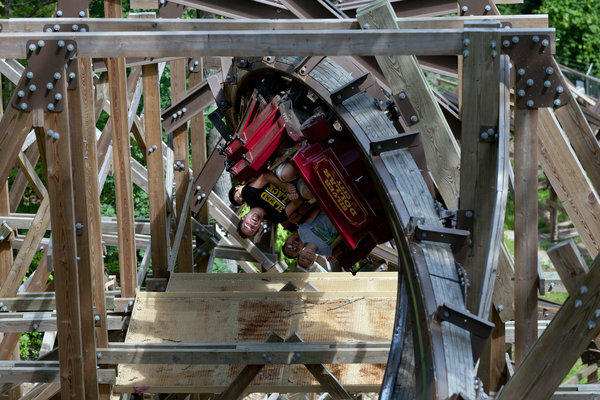 If you are talking about the RMC coasters, I'd would personally say they are steel, not wooden due to the steel track the trains actually run on. The thing is with Wooden Coasters yes they are cheaper in the installation, but they do require a lot more demanding maintence than Steel Coasters and which makes the maintence process more expensive, and they are much more vulnerable to being damaged by fire, and other weather elements. If a parks think they could look after a wooden coaster, then I am sure that they wouldn't die out, but that is the aspect which I think is going to eventually be the downful. The evolution side is what we have to look at, as time goes on, currently only Six Flags Park have done RMC conversions, with two under construction (testing) and the three operating that makes five of them, but we need to wait for more theme parks outside of the Six Flags group. Dalek does have a point here in that wooden coasters are very susceptible to fire and major natural disasters, which steel coasters rarely need to worry about. Even though steel coasters can be damaged by earthquakes, it is a lot easier to make steel coasters a lot more beefed up with larger, stronger supports that will be able to cope with the earthquake whereas it is very hard to beef up a wooden coaster.